Protection from the cold during winter sports. 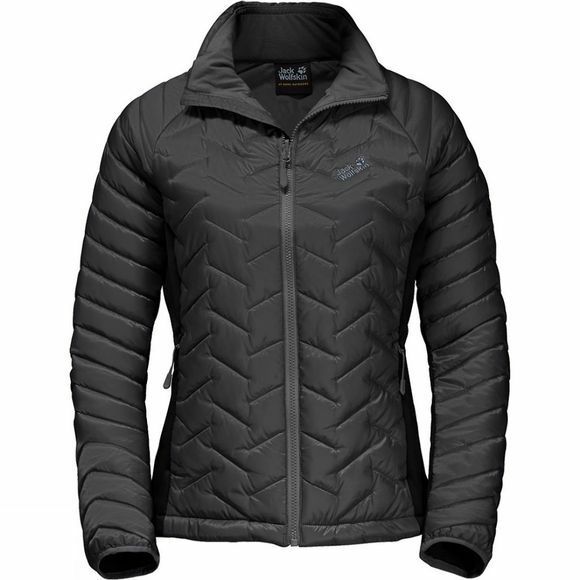 Jack Wolfskin have designed the Women's Icy Water Jacket jacket as a functional insulation layer for ambitious outdoor activities. It can be worn on its own as an outer layer or docked with any compatible weatherproof shell jacket via the System Zip. The robust Microguard Maxloft synthetic insulation provides reliable protection from the cold and good wicking performance, which is a big advantage when you sweat. When the jacket is worn on its own, the outer fabric shuts out the wind.